We rank final results by points scored, then tiebreaks are calculated to rank results within each point group. There is one exception: For players scoring 5-0 in 5 rounds sections or 6-0 in Championship sections, tiebreaks don't make much sense. In these circumstances there will be a speed playoff between these players to decide their final placement. Our prizes are trophies, plaques, medals and free entries in specified Continental Chess Association (CCA) tournaments. 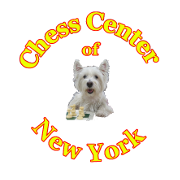 Free entries courtesy of Continental Chess Association are valid for selected CCA tournaments with 100% unconditionally guaranteed prize funds. Some restrictions exist: For example the free entries can not be applied to NYS Scholastics in Saratoga. See www.chesscenter.cc or www.chesstour.com for complete details and restrictions. Anyone winning more than one Free entry prize will have them added after each other to give one longer time period. All players get a ribbon to celebrate their participation. Championship Sections qualify for US Chess Junior Grand Prix.